Airbnb Had Housing Activists Pushed Into a "Free Speech Zone"
This weekend Airbnb held its first-ever conference for hosts in San Francisco. Inside, executives restated the company's goal to win a Nobel Peace Prize. Outside, local cops allegedly shoved housing activists who were protesting Airbnb's role in the eviction crisis, confining demonstrators into a "free speech" pen. The protest was attended by a small number of activists, including someone in a pig costume and a few people demanding compensation from Airbnb after being evicted by landlords. As the protest wore on, activists allege that the cops showed up and demanded they enter a free speech corral. [Police] arrived in three cars and escorted the protestors to an encaged "Free Speech Zone," which the protestors refused to enter. One protestor was pushed down by the police and was injured. 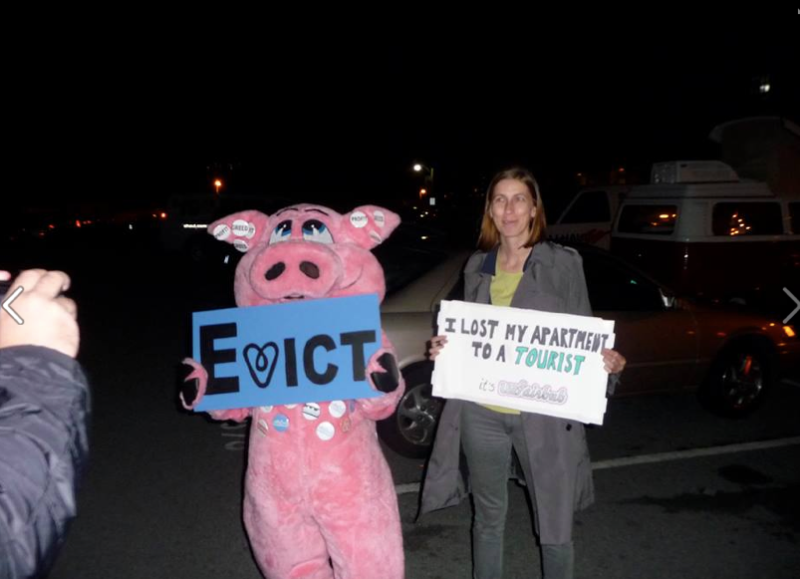 Another protestor, dressed in a pig costume calling attention to the greed behind Airbnb's ironic business model, was harassed by the police and threatened. The protesters did very little to get the attention of Airbnb and the police: they read an open letter to the company, held up signs, and sang a cabaret song about evictions. SFPD has not responded to Valleywag's request for comment. 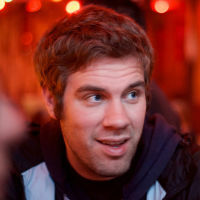 To contact the author of this post, please email kevin@valleywag.com.